The following debt consolidation advice includes an overview of the concept of consolidating credit card bills, along with the options and benefits that are available to you. Consolidating credit card debt is not necessarily a debt relief strategy; it is more of a debt management strategy. When you consolidate debt, you don't reduce or eliminate monies you owe. You are still required to make payments and meet your financial obligations. You just pay a different creditor or company than the one that originally lent the money. And, in many cases there are advantages. Consider this example. Say you have three different credit cards on which you owe money. Each of them has a different interest rate, a different minimum payment requirement, and each bill comes due on a different date during the month. So with your credit cards alone, you have three different payments, based on three different interest rates, with three different due dates each month. That's a lot to keep track of. Now, add those bills to the other money you owe each month — like your car payment, rent or mortgage, and perhaps an outstanding student loan. It may seem like you are writing checks to repay loans and obligations nearly every day of the month. And doing that month after month seems as if it can drive a sane person go crazy, doesn't it? That's where good debt consolidation advice comes into play. Consolidating your cards can help out under those circumstances.You can do this one of the two ways. Hire a consolidation company to manage your payments. 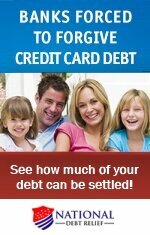 Debt consolidation advice on these two specific options is provided in the articles listed below. Take your time to review the details of each to determine which option best meets your needs. Consolidation can help you reduce your overall interest rate, which can help save you some money. 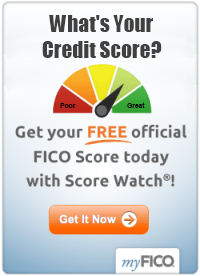 This is particularly the case if one or two of your credit cards has an exorbitant interest rate. Yet, there are many cases when consolidating balances on your cards is a good idea even though it may not necessarily reduce your total amount due, at least not significantly. data-custom-mark="true"So, what is the point of consolidating credit card debt if it doesn't reduce the total amount you owe? Simply stated... It can help make your life a bit easier, which is why professionals offering debt consolidation counsel may recommend it. Rather than trying to manage three different bills, you make one payment a month towards this consolidation loan or company, as opposed to making three different payments at three different times in a month.